Go ahead, place your bet on the layout! Bound by hand in any of 12 Dauphin calf leathers, this lavish "drum" houses a solid mahogany roulette wheel with nickel center, surrounded by 20 rows of chips that are set into sumptuous suede. Within the base are 2 roulette balls and a "win" marker. 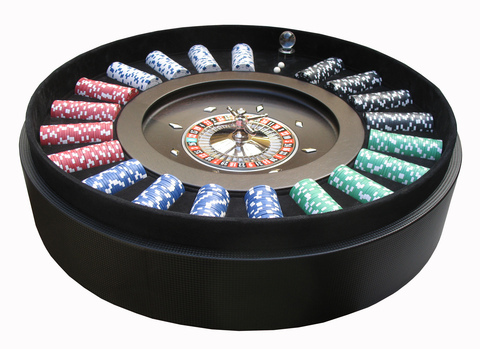 A roulette layout and gold-plated brass Croupier's rake is also included.